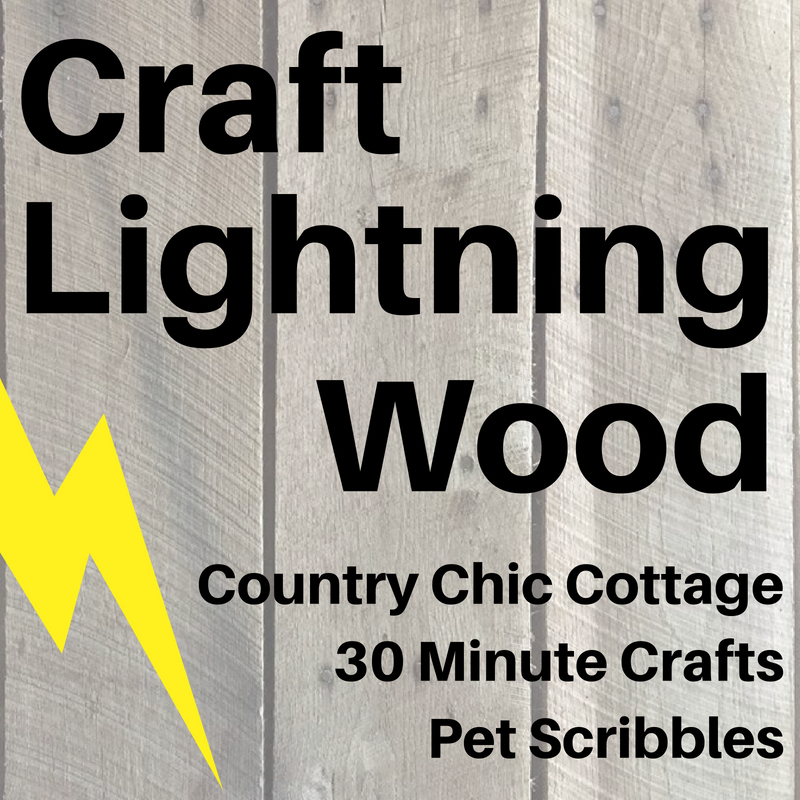 Today I am participating in another round of Craft Lightning, this time with the theme of "Wood". We were challenged to make a wood project that takes 15 minutes or less, excluding drying time. I thought this one would be a piece of cake but I had a hard time figuring out a project. I had another project in mind and it was a total fail. I had to scratch that idea and come up with a plan B. 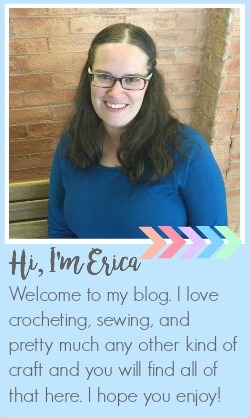 About a month ago I went to Snap Conference and one of the sponsors was Plaid Crafts. 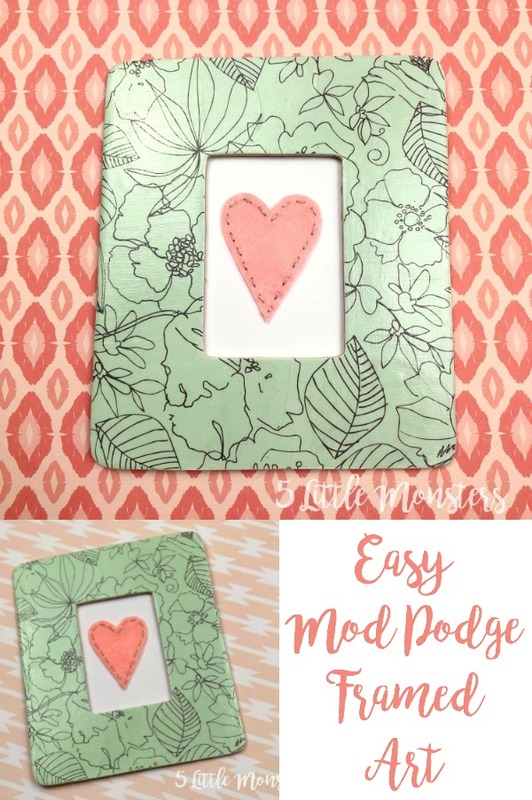 About a week ago I got a surprise box in the mail from them full of all sorts of fun supplies, including several types of Mod Podge and I though that this would be a perfect opportunity to use some of it. I had a tiny little wooden frame in my craft supplies so I thought I would make a cute little framed art to hang on the wall. 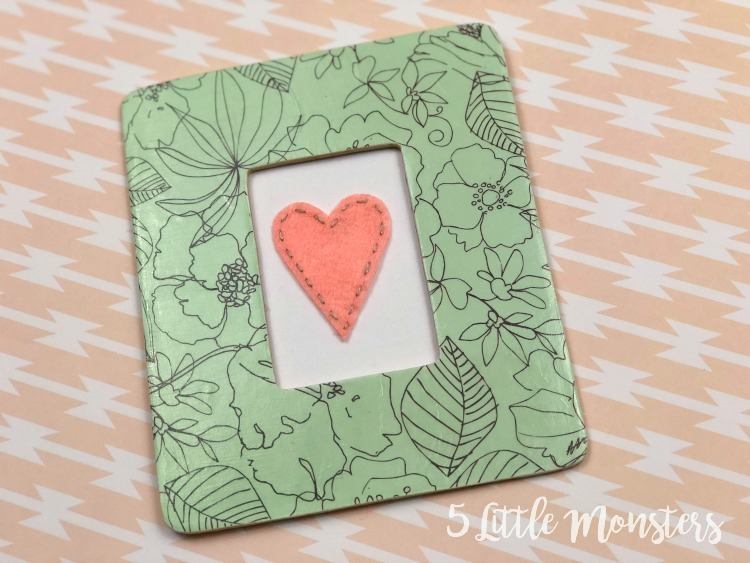 I just used Mod Podge to add some pretty paper to the frame and then I added a simple felt heart on cardstock to the center. It was a super quick project with supplies that I had on hand and I think it turned out pretty cute. First cut the scrapbook paper so it is slightly larger than your frame. 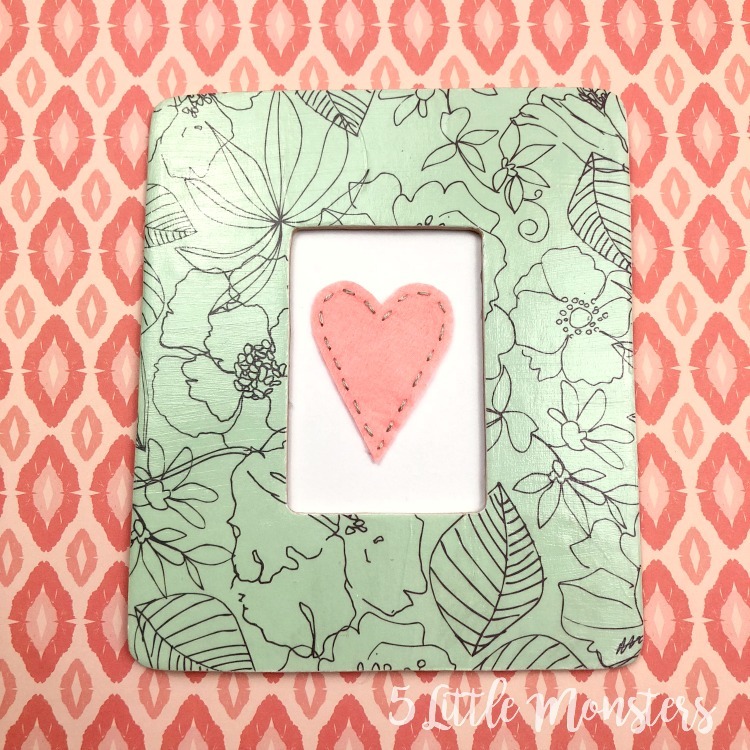 Put Mod Podge on the frame and stick the paper on the frame, smoothing out any bubbles and/or wrinkles. Use sandpaper to remove the excess paper around the edges, rub the sandpaper around the edges of the frame and the paper will rub off, giving you a nice smooth edge. 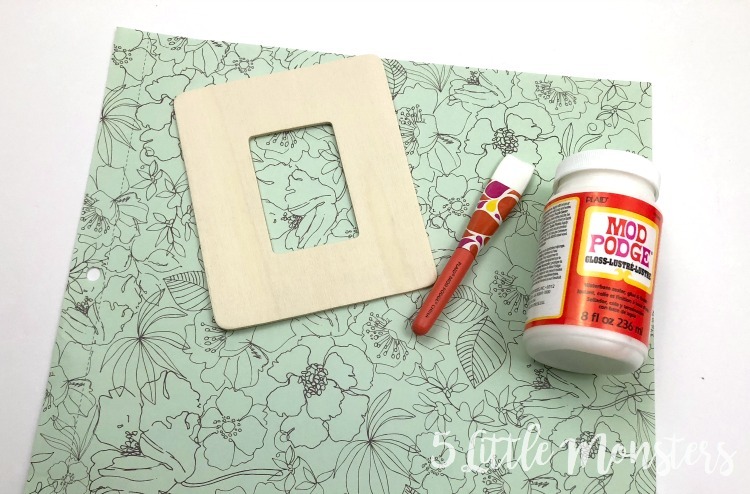 Paint a layer of Mod Podge over the paper and set aside to dry. Cut a small heart out of felt, stitch around the outside with a running stitch. 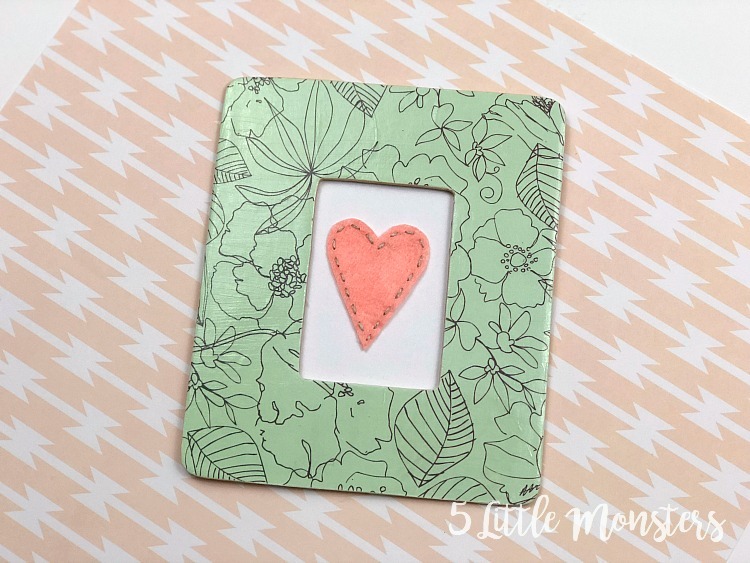 Cut a piece of white cardstock that is larger than the opening, glue the cardstock to the back of the frame and glue the heart to the center of the cardstock. Love that paper you used! Thanks for joining!